mcdonaldcontainers | Just some thoughts on doing business as I see it. Once every other month on a Friday night, my wife and myself join one of two teams from our Sunday School class and serve at a local homeless shelter. Well, it’s much more than a “homeless shelter”, its’ goal is “to move people from homelessness to permanent housing”. Our role, while we are there, is to work the cafeteria line and serve the food, OR IS IT. I have been thinking about it and what the word “serve” means. http://www.merriam-webster.com/ gives as the primary definition “to give (food or drink) to someone at a meal, in a restaurant, etc.”. Sure, we do that, but if you dig down a little into the definition you find some other interesting aspects of “serving”. a) “to be a servant to“, b) “to give the service and respect due to”, c)”to furnish or supply with something needed or desired”, d) “to answer the needs of”. Isn’t “serving ” so much more that just handing out food? I think that the third definition is the most telling “to furnish or supply with something needed or desired”. If we are going to the ministry to serve, are we supplying the individuals there with something they need or desire? Certainly food is maybe a primary need, but there is an opportunity to serve the individuals in many other ways. Giving respect, looking someone in the eye, being cheerful and encouraging and accepting, there are a significant number of different ways to serve individuals. There is so much more to serving than just handing out food. And, even more telling, is serving those that we serve with. 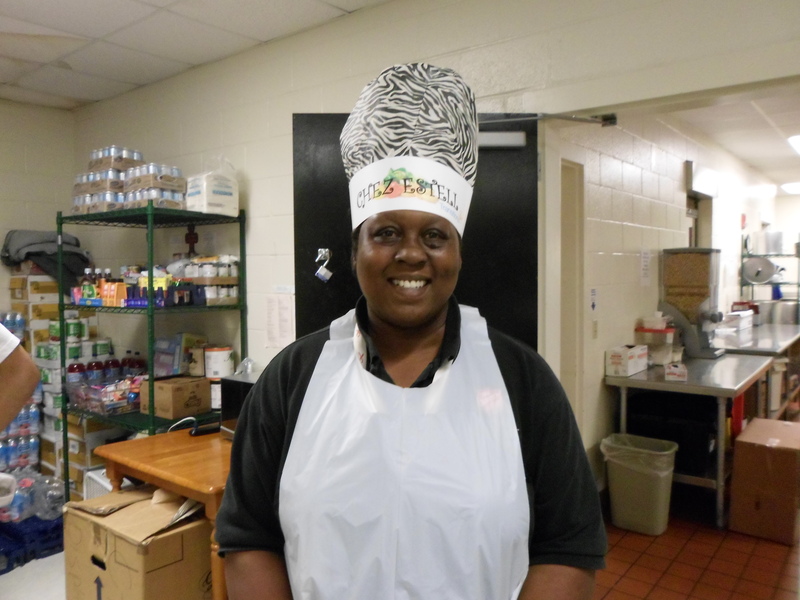 Estell is the ministry individual that runs the kitchen area and does an incredible job. Day after day, she works with countless volunteer groups and individuals that come and go. It has been fun to get to know her a little bit and start to work on finding out what serving her means. What are her “needs and desires”? I’m sure than we do a very inadequate job of truly serving the individuals that we come in contact with in the short time we are engaged at the shelter, but I need to make it my goal to look at serving in terms of the whole picture!! But wait, there’s more. Let’s transfer those thoughts to the business world and McDonald Containers. If we say we want to “serve our customers”. What does that mean? Is all we are doing is just serving up products? Is that the extent of it? I hope not. Our goal needs to be serving in the broadest sense. To be a great company or supplier, we need to do so much more than just “serve up products”. We need to “to answer the needs of”. That need may be product today, but tomorrow it may be some advice on where to find cremation tags or the best place to look for the address of the Swiss Consulate. In order to deserve your business and be worthy of the confidence we want you to place in us, we are striving to meet all the definitions of serving. It is our goal to improve every day in that quest to serve. How are we doing? We want you to tell us if our service level is where you need it to be. Are your needs being met in the areas that you trust us with? PLEASE, give us call and let us know, drop a note on this post, email me at jwfaber@mcdonaldcontainers.com or leave a comment on the website at http://www.mcdonaldcontainers.com. I’ve been thinking about relationships over the last month or so and had a number of thoughts come to mind regarding teamwork, cooperation and working with other companies. 2 Corinthians 6:14 says “Do not be unequally yoked”. I believe Paul is talking here about interpersonal relationships and relationships between Christians and non-Christians, but I think it has some real application in the business world and how companies work together. I have had an increasing number of situations that have arisen where I have felt that another company that we work with does not have the same level of commitment to customers and customer service that we have. It so happens that it is our goal to ship “every order, every day, out the door”. We are not always successful in achieving that goal and it is not always what the customer needs, but it continues to be our goal. This goal gets increasing difficult to accomplish as you get later in the day. Orders received at 8:30AM are easy to ship, orders at 12:00 can be more complicated and orders received at 4:00PM can be downright challenging. It is almost impossible if your freight company is not on the same page with your goal and will not pick up after a certain time late in the day. 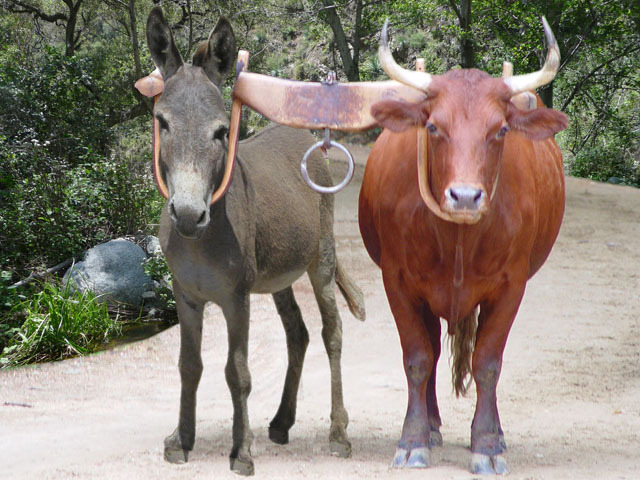 I’m not trying to whine here, (ok, maybe a little), but it made me consider what it means to be “unequally yoked”. To deliver a product or service to an end-user at the right place at the time at the right price, is an incredible venture. A cremation container, for example, starts as a tree in a forest. The tree is harvested, turned into paper and wood (plywood and lumber), milled, shipped, formed into cardboard box, assembled and shipped to a funeral home and offered to a family for use with a loved one. The chain of companies that touch the materials or assist the product in its journey are numerous. All of these companies are yoked together to deliver that product to that family in their time of need. I would argue that that process is most effective and most efficient when those companies are “equally yoked”. That is, that the companies have the same goals of customer service at each step of the way. Anywhere that companies are not on the same page in terms of their goals (and service levels), there will be problems and disruptions. So, what’s the lesson here? When choosing a company to work with, whether that is a supplier or a contractor or anyone to work with, consider who they are and how they fit with your goals, motivations and service expectations. Make sure that you “yoke” yourself to other companies that will pull in the same direction as you will. In just a couple of words, “choose wisely“. We, here at McDonald Containers, believe that we are a company that is on the same page as companies that are committed to customer service at the highest level. We would welcome an opportunity to talk to you about being “equally yoked” to provide the level of service and products that you need for the families that you serve. Please contact us if you have any feedback or need further information. Comments are welcome on this blog, at our website http://www.mcdonaldcontainers.com or calling us at 800-888-0753. Remember, “we must all hang together, or assuredly, we will all hang separately”. That one from Benjamin Franklin. Hmmm, I need to still consider what to do about our freight company. Wow, I think that this storyline is from a company I used to work at. How many managers have employees that refuse “to buckle under authority” and feel that they need to “crush” that employee until they finally break? That certainly gives some food for thought. I guess that makes my father’s write-up even more fitting. Be sincere and helpful – Pick a time and place to meet with the employee. Be sincere, because it shows that you mean what you say. Remember that you need their help to make your work place more productive and efficient. 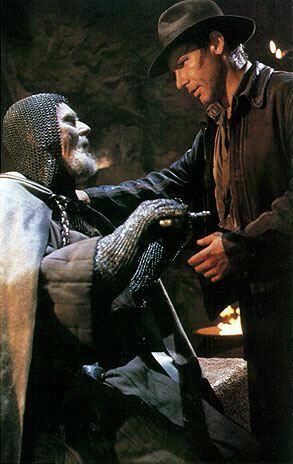 Tell them that this meeting is to help both of you. Start with a question they can answer with a yes or no such as “Do you like your work?”. If they say “yes”, ask them what they like about their work. If they say “no”, ask them what they don’t like about their work. That will give you a clue about their attitude and having to come to work. It is important for the employee to do most of the talking because you need that feedback in order to help them to become part of the team. Their answer will help you to suggest solutions to change their attitude and help them to be more cooperative. Another good question that I have used is “If you were the manager, what would you change?” I have been surprised at some of the answers that I received. They have been very helpful because they look at it from a different perspective. More good stuff, Dad, thanks. Which of the two communication methods are evident in your management style? Man, this stuff is not easy. I think I’ll work on my dad to see if I can convince him to write part three and share some more of his hard-earned wisdom. Until then, let us know any comments you have, Facebook, twitter, http://www.mcdonaldcontainers or here on the blog. My wife and daughter like to watch the TLC show “What not to wear”. My understanding is that they want to volunteer someone from our family for participation on the show. (It couldn’t be me, could it?). The premise of the show is that Stacy and Clinton (the stars) take a individual that had been nominated by “friends” or family and give them a fashion makeover. The nominee had evidently lost track of what style is, didn’t know what was appropriate or had just gotten lazy about their appearance and needed a lot of help getting back on track. It is often amazing the transformation that these individuals go through and the change it makes to their life. Isn’t the same thing true for many of us in management positions. Don’t many of us forget, get lazy or just not know how to be a great manager. I know that I am a guilty party. I’ve learned by experience how to become more productive. My attitude with employees is to work side by side with them and help them to feel a part of management when goals are accomplished and profits are increased. Sharing concerns when things do not go smooth can lead to solutions and get people on the right track again. Group 3: People that will only do what you ask them to do. They are late for work, take longer lunch hours and are absent a lot. Group 2: People who are willing to do anything you ask them to do, show up for work on time and take very few sick days. Group 1: “The cream of the crop.” They are willing to do everything that you ask them to and also look for work to be done to keep busy. They realize that when everybody works together, more can be accomplished in less time. They also will make suggestions to improve work systems and good work relationships. The challenge for you as a manager is to move group 3 to group 2 and move group 2 to group 1. You will find that your work is less stressful and you will have more time to accomplish your work. No more late hours because there will be less interruptions and you are able to keep on schedule. Small rewards for good work such as a smile and/or thank you will help the employees to realize there are reasons to pitch in when everybody is busy. Great stuff, dad, thanks. But, how to move those employees from group 3 to group 2 and group 2 to group 1? Stay tuned for the next episode. Part 2 is on it’s way. On “What not to wear”, one of the problems is getting the participant to give up their old habits and take what they’ve learned and apply it, so too with managers. Think about it. Does this employee classification system help your thought process on how you manage your people? On the flip side, as an employee, which group are you in? Hey, are you sure parachute pants aren’t still cool? Wow, this may be the first time I have actually disagreed with a dictionary. I’ve had a couple of situations in the last couple of months that have had me chewing on some thoughts about respect. What is it? What does it mean to respect someone or something? Is there a lack of respect in today’s culture? Why? 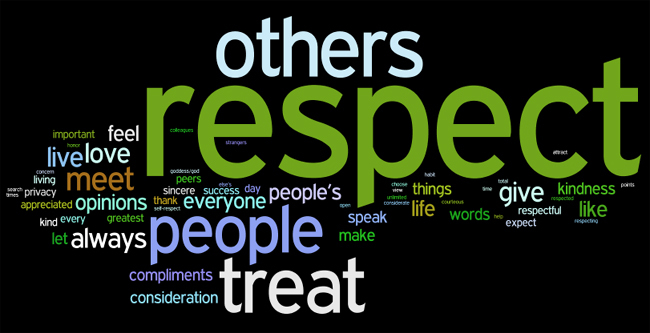 What is the starting point for respect? Let me start with a definition that I found (online of course). Respect is “A feeling of deep admiration for someone or something elicited by their abilities, qualities, or achievements.” Really?! As I was rumbling around the web looking at other people’s thoughts about respect and then tweeting some great quotes, I found myself stumbling across this saying a number of times “Respect is something that is earned, not something given”. I guess I would have to disagree with both the definition and the quote. It seems to me that respect is a starting point and not something that has to be earned or is deserved by someone because of their accomplishments. Stating that respect is something that is “earned” or “deserved” would naturally infer that some people or things are undeserving of respect. This would seem to come from the prospective that only those things / people that we “value” are then worthy of our respect and if we don’t value something or someone then we do not owe them respect. So, maybe respect is something that comes out of our value system. I guess that I would argue that everyone is of value (created in the image of God) and therefore is deserving of respect. Others, I suppose, have a different value system and do not see value in all people and do not deserve respect. BIG PROBLEM. Many of our relational difficulties occur because they don’t start from a place of respect. Why this post? In a number of situations recently, individuals and companies, I’ve observed, have shown a lack of respect (and in turn value) to customers and others. It has been extremely disappointing to me. It seems to happen especially frequently in the political arena, not only among politicians, but also normal citizens to the leaders of our country. I think that if we could all work from a place of mutual respect (given not always earned), we can certainly move forward with less agitation. So, too, in the business world. Respect for our customers comes not only from who we are and what we believe, but also from the value that we place on each and everyone that visits our website, posts on our Facebook page, subscribes to our tweets, views our YouTube videos, emails comments and even CALLS US ON THE PHONE. I hope that the respect that we have comes through in each and every contact that you have with us. Please, give us some feedback. We “value and respect” your comments. Post them here or at http://www.mcdonaldcontainers.com. 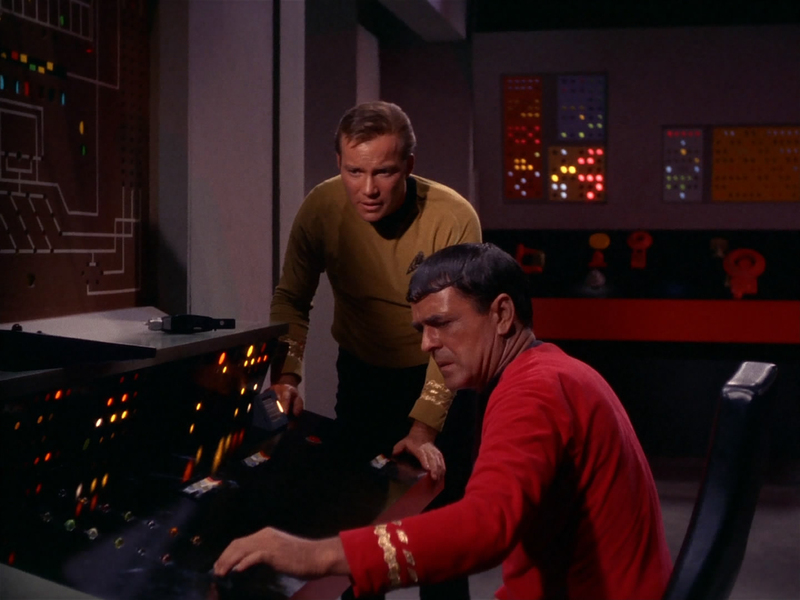 Scotty, we need more power!!! In honor of the opening of the new Star Trek movie this weekend, I wanted to start with a quote from the original “Captain Kirk”. As always, this post is a result of some things that I’ve been thinking about lately. I’ve been chewing on some thoughts about “power”. What is power? How does power work? Who has power? Is power good or bad? How do we as a company use power, manage power and engage in relationships where we may not have power? First of all, on a personal level, I believe that everyone has power. I’ve heard the phase that some people use that they “feel powerless”, but I think that, even thought they don’t feel it, they still have power. Power to change things, to improve people’s lives, to influence others, to succeed, to do what they want to do. People are as “powerless” as they let themselves be. Last Sunday at the churches that we attend, I saw two illustrations of pastors using their power (as revered, respected individuals) to encourage, cheer and brighten individuals (EXCELLENT). I don’t care who you are or in what situation I’m in, we all have power. There are so many examples everyday of people using power in a negative way, whether it’s to cut someone down, to treat someone poorly or to somehow take advantage of someone by use of their power. How much better it is to use the power we have in a positive way. Companies, as well, have power. Power to provide great service or poor service. Power to make a fair profit or use their power to make an unfair profit. Have you ever been at the mercy of a company in an emergency? I get extremely upset when I watch an expose of a repair company that uses its power to gouge customers. How about other situations where a company may use its’ power to the disadvantage of its’ customer (shame, shame). We, here at McDonald Containers, are trying to make sure that, with whatever power we have, we use it to brighten your day, help you serve families and provide you with the most price competitive, high quality great service products that you can get in the cremation and shipping supplies industry. Visit us at http://www.mcdonaldcontainers.com and let us know. With our “great power” are we fufilling our “great responsibility”. You knew that I couldn’t end without fitting that in somewhere. Hey man, we love you guys. We recently discovered some fun little trinkets. They are little solar powered “bobble toys”, for lack of a better word. The toys are small, usually only about 4″ tall, and have movement powered by a solar cell. The figures run anywhere from a daisy complete with moving leaves and flower to a bumblebee to elephants and bears. Set somewhere with light, they move constantly with heads (or flowers) bobbling back and forth. My wife, Dawn, has a penguin mounted to her dashboard. There is so much movement that it is sometimes hard to believe that it is powered by the solar cell and not the movement of the car. My daughter was in the car with some friends and it took some convincing by her to prove to them that the movement was from the solar cell. If fact, Dawn and myself were out one day with her car and her penguin was quite active in the bright sunshine. She observed that it seemed to be moving with the motion of my driving and he was scared and with his arms out was going “WHOA”. I countered that I thought he was having a great deal of fun and had his arms out going “Wheeeeeeee!!!!”. I’m not sure which of the two options it was but it got me thinking again about the relationship that businesses have with their customers. 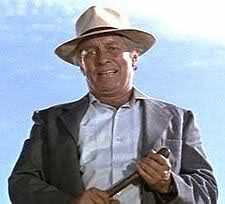 Many of the businesses that I deal with I have either a “Whoa” or “Whee” attitude to. Some of the businesses I don’t look forward to interacting with and wish that they were “better drivers”. Other businesses are great fun to work with and I look forward to calling and ordering or just contacting them. How about your business or my business? Do your and my customers look forward to going for a ride with us? Or do they put on their seatbelt first thing, close their eyes and hang on for dear life. Our goal at McDonald Containers is to have you look forward to the day when you call us to place an order or just call to let us know your college team beat up on our college team. We want to have you raise your arms in the air and gleefully yell out “wheeeeeee” when you ride with us. Hey, stop at your local dollar store and pick up one of these little “solar bobble heads”. They are great fun for a buck. Or, drop us a note at http://www.mcdonaldcontainers.com or on the form below and we will send one out to the first 10 funeral homes that request one.